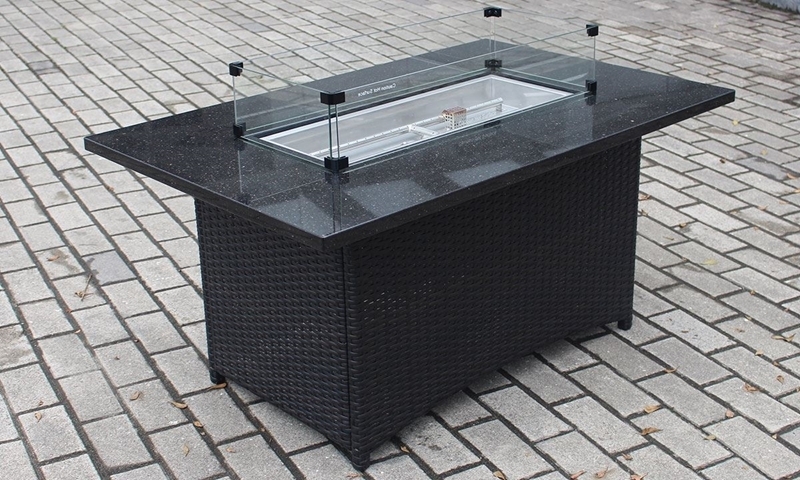 50-inch fire pit features a sleek granite top with wind guard glass over an aluminum frame covered in all-weather wicker. The Grand Cayman fire pit will make a timelessly stylish addition to your backyard or deck. It features black resin wicker over a powder coated aluminum frame for durability no matter what weather the seasons bring. A 50-inch granite top finishes this fire pit off with a sophisticated touch, and even features wind guard glass to ensure its central flame stays ablaze.